Our experts can provide specialist advice to effectively manage your risk on site regarding volumes, types of waste and approved treatment methods. We also provide a range of bio-solids management consulting services for local authorities, councils and private wastewater treatment operators. We have the proven ability to provide the following hazardous liquid waste treatment services at ISO standards: acid waste, caustic waste, contaminated storm water, grease trap waste, oily water and sludge, septic waste, solvents and trade waste. Vertical integration of contaminated and hazardous chemical waste means that we provide a comprehensive solution to safely pack, transfer, treat and store dangerous waste in a manner that complies with local regulations. 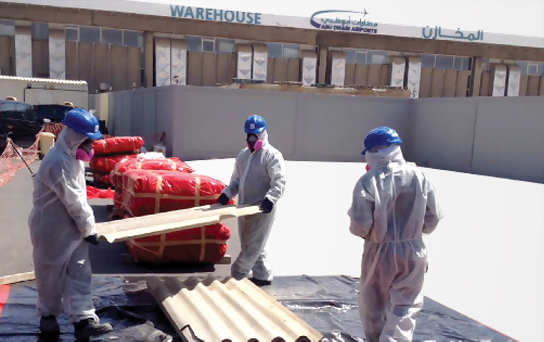 Green Mountains is one of the few companies in Abu Dhabi that isclicensed by the strict regulatory guidelines of Tadweer to handle asbestos removal and disposal. We provide a trained and experienced team to handle all types of asbestos. 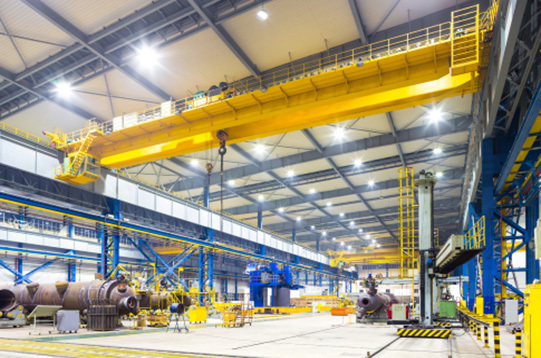 We can provide overnight and emergency solutions to meet customer deadlines swiftly. 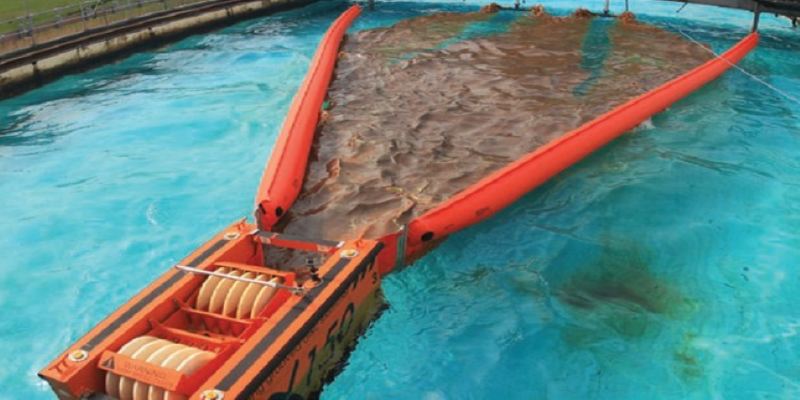 We offer emergency oil spill response services in compliance with the health, safety and environment regulations for port reception regulations. 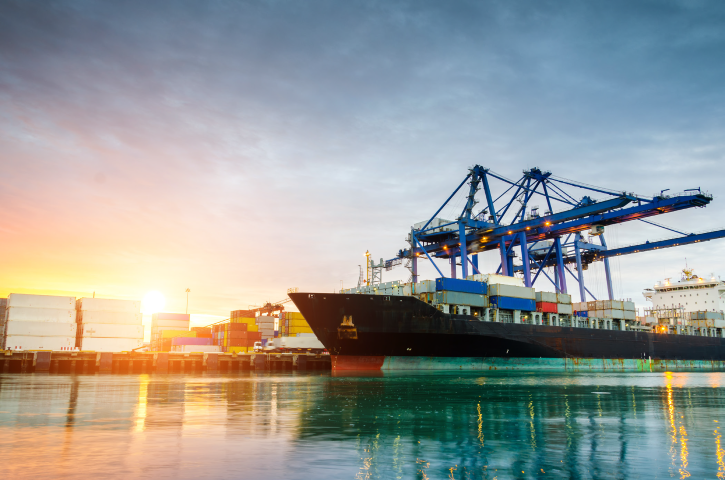 Our services are guaranteed to ensure compliance for all on-shore activities including waste collection from ships, ship and port cleaning services, responding to emergency oil spill, leaking containers, and other marine-based services. Green Mountains is one of the few authorised comapnies in the UAE that oers transboundary movement of hazardous waste services. Our staff is highly trained and our operations are in compliance with the local and international authorities regulations, we make sure that we fullfil all the stringent requirements to transport and manage the transboundary hazardous waste. Green Mountains can scale a tailored solution for your site, or sites decontamination, to help you achieve maximum cost-effectiveness and sustainability. From auditing and waste mapping, to integrated reporting and educational and engagement, our solutions are all-encompassing.